Crispy broccoli slaw is tossed with avocado oil mayo, apple cider vinegar, and seasonings for a deliciously healthy side dish or a crunchy filling for sandwiches. A classic homemade oatmeal bread made with flour, yeast, rolled oats, buttermilk, and brown sugar. An easy bread recipe for beginners and kids. Nothing beats soft, warm homemade bread! Crisp romaine lettuce, fresh broccoli, and ripe tomatoes are tossed with crunchy toasted slivered almonds and Raman noodles then topped with a sweet, tangy homemade salad dressing. This salad goes with just about anything! No matter what you call it, Mexican Cornbread or Jalapeno Cheddar Cornbread, this 3-layered cornbread is the moistest, cheesiest, and tastiest jalapeno cornbread yet! Hearty, sweet, and savory baked beans with ground beef, bacon, and brown sugar is super easy to put together! It is a perfect side dish recipe for a holiday, cookout, bbq, picnic, tailgate, or if you just love baked beans. 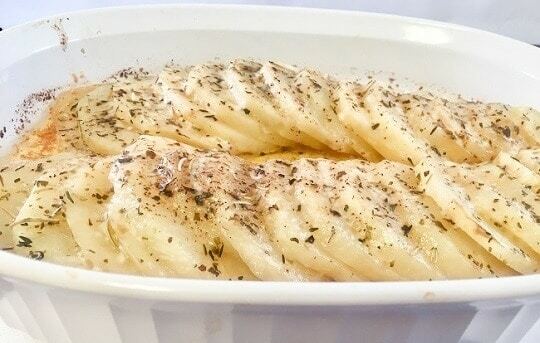 Cabbage baked in a casserole with a creamy sauce and cheesy ritz cracker topping. This southern cabbage casserole recipe is a perfect one pot side dish for any large get together. Goes great with ham and turkey! Fresh sliced zucchini baked in a pie shell with lots of cheese is a perfect side dish for any occasion. Is your garden overflowing with zucchini? Here’s a delicious zucchini side dish recipe that’s always a hit.